Dr. Brown’s. I definitely look forward to buying another one in a NY Delicatessen. 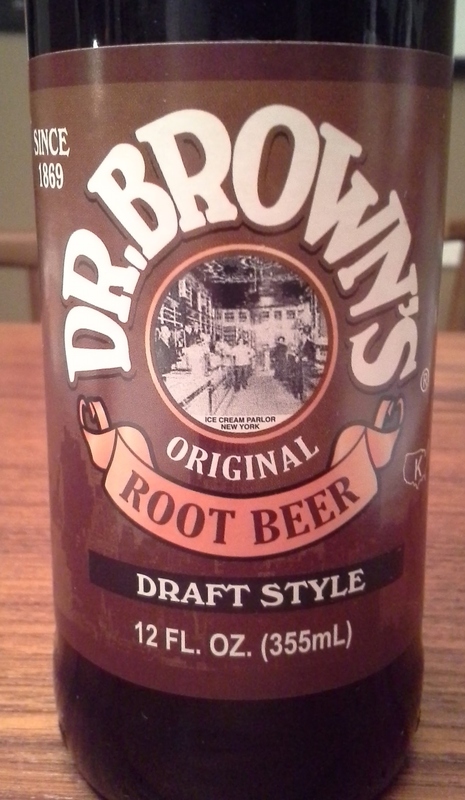 I have seen this root beer in supermarkets, typically around Passover in the same section as the U-bet chocolate syrup. It’s pretty good for a root beer. I enjoyed the wintergreen scent and the subsequent flavor profile. It’s slightly weak on the flavor, possibly a little watery, but I did eat some spicy pickles and a quesadilla before this taste test so that may also throw off my taste buds. In the interest of science, and not gulping down more soda, I let the root beer percolate in the glass for some unscientific time and tasted again. The flavor left the root beer! Again, I scientifically unscientifically left the root beer alone for more time. What happened? The flavor came back! This is a magical root beer – with reappearing flavor.